Jennifer Byrne wants to take some of the error out of trials. Clinical trials, that is. 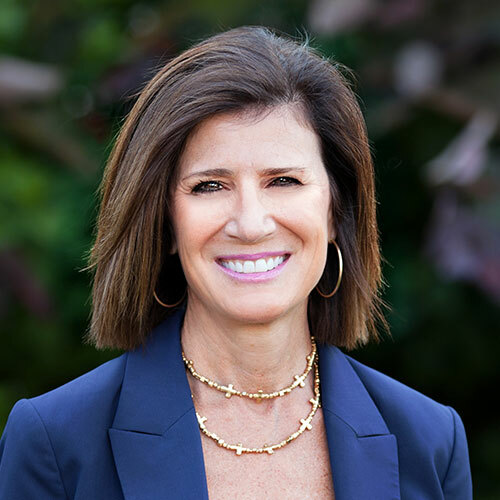 As the co-founder, CEO and board chair of Javara Inc., a privately funded Winston-Salem clinical research services firm, Byrne is convinced her company’s newly minted “Integrated Research Organization” platform offers a more-effective solution to the immense challenges of patient enrollment in clinical trials. Currently, an estimated 7,000 drugs and devices are in the global development pipeline – a pipeline for a drug to come to market that averages 12-14 years, she noted. Byrne acknowledges there are a variety of business models being tried to improve the drug -development process. North Carolinians have most of them at their fingertips, because the contract research industry was founded here and North Carolina remains its global hub. Javara co-founder, CEO and Chair Jennifer Byrne. “What’s built into Javara’s plan is to ‘democratize’ clinical trial participation,” Byrne explained, using the term common in the industry that means empowering patients with information and access, so they can make decisions about their health care in partnership with their providers. Javara hopes to do this is by embedding itself within health systems and aligning patient and physician needs across the systems with those of existing clinical trials. The goal, said Byrne, is a win-win-win: patients gain access to clinical trials as a form of potential treatment; health systems can scale research activities in a financially sound manner; and pharmaceutical companies get the volunteers they need to conduct the science that brings more drugs and devices to market. Javara’s business model is to partner with a health system so effectively that patient participation in clinical research can become an appropriate care option, explained Byrne. This is particularly appropriate in management of chronic diseases. For example, clinical trial participation gives diabetes patients access to more monitoring by clinicians and encourages the patients’ improved compliance, which leads to better health outcomes for the participants themselves. This is different from patient participation in clinical trials purely for the sake of altruism – advancement of the science to benefit future patients. Thus, according to Byrne, Javara’s business model depends entirely upon the nature of the partnership arrangement it has with each health system. In other words, a health system may deem Javara’s services so valuable to its own goals of improved patient health outcomes, while lowering costs, that it contracts directly with Javara to embed within it and enroll targeted patients in clinical trials. Meanwhile, pharmaceutical companies will also contract with Javara in that capacity for including the right patient for the right trial at the right time, and other services to manage clinical trial execution. Javara already has seven employees after its first two months of operation, and Byrne expects that to grow in the next five years to as many as 2,000 by 2023. The company plans to have employees embedded in health systems across the U.S. Byrne sees the firm’s value in the way it intends to deploy highly trained clinical trial professionals across each health system. Byrne serves on NCBiotech’s Advisory Committee for Biotechnology in the Piedmont Triad, which advocates for bioscience development in the region. Byrne is a long-time clinical research leader committed to increasing the level of participation in clinical trials. She is the former CEO of PMG Research, another clinical research organization based in Winston-Salem, and founder of Greater Gift, a 501(c)3 organization that donates vaccine doses internationally for every clinical trial participant with partner organizations.